A Long-eared Owl is temporarily calling Edinburg home. For the past four-days the owl has been spotted in the dense foliage at the Edinburg Scenic Wetlands and World Birding Center. This is the first time this type of bird has been spotted in Edinburg. The first sighting was on Thursday by a local family visiting the center. It was confirmed by staff and birders/photographers at the center. 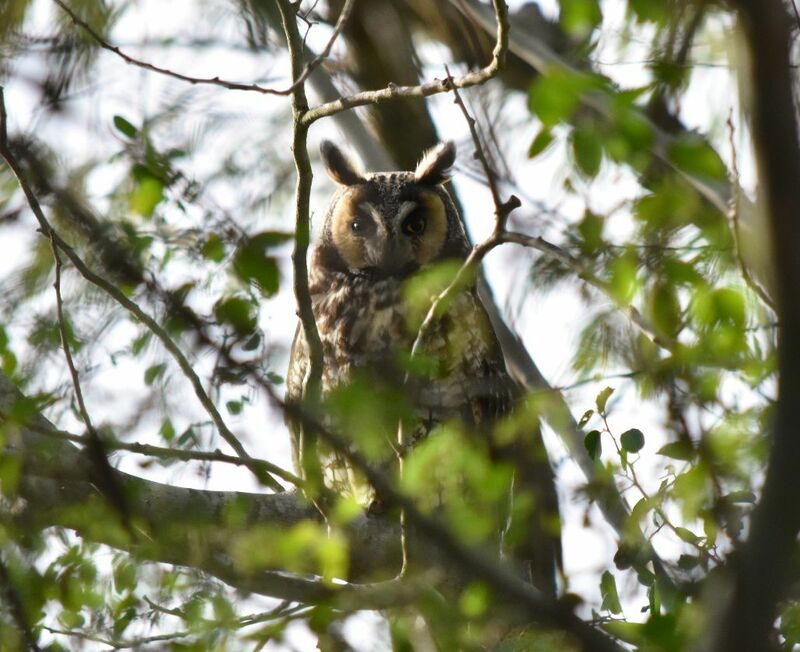 The Long-eared Owl is a rare visitor to the region. It has been seen periodically in the winter months, typically for only a day and only once in a year. The last verified sighting was at the McAllen Nature Center in December of 2016. Long-eared Owls are medium sized nocturnal owls. They have long, rounded wings and a long tail, they are brownish gray, with vertical streaks. They have long blackish clusters that look like ears, but are just feathers. Of all the owls, they are known to be the slimmest. Again, this is the first sighting at the Edinburg World Birding Center and the first in Edinburg. It is also the longest reported sighting of a Long-eared Owl at any site on E-birds Records. The nocturnal owl has moved to different areas of the grounds each day. Birders and non-birders wanting to get a rare glimpse at this bird should do so at their earliest convenience as the nature site does not know how long the owl will remain at the EWBC.